lol I was bored like usual and I found this uncensored video of RDX party. It is such a funny scene of Nilesh and Vicky...it would've been great if they had kept it in the original. The rest of the video is the same from the actual footage. LMAO that was hilarious xD loved it. HAHAHA Archi and Macedon are like a power packed combo or something, so hilarious!! Oh god.. These guys are hillarious...LMFAO..
Reel love story turns REAL! THIS Yeh Rishta Kya Kehlata Hai actress set to get MARRIED in next TWO months! 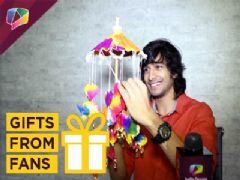 THIS DAY THAT YEAR: When Shantanu Maheshwari's Show Ended! #MeToo: Sonal Vengurlekar ACCUSES Sheena Bajaj's father Raja Bajaj of sexual harassment!